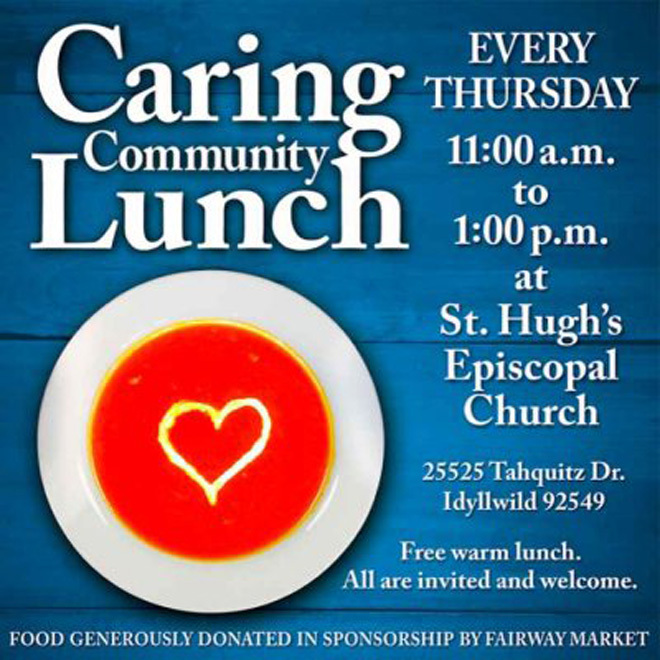 In December 2013 with the leadership of Christina Nordella and the help of Fairway Market, we began our Caring Community Lunches at St. Hugh's. 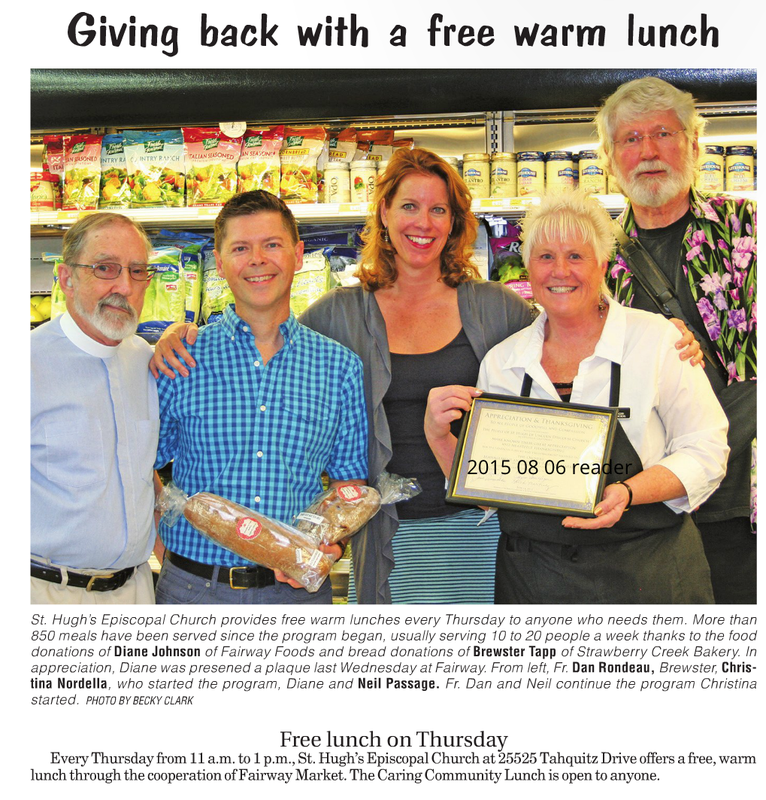 Since then lots of folks have come to "hang out" sharing a warm meal and the warmth of fellowship. Come and join us this Thursday.